Masahiro Tanaka is one lucky man! 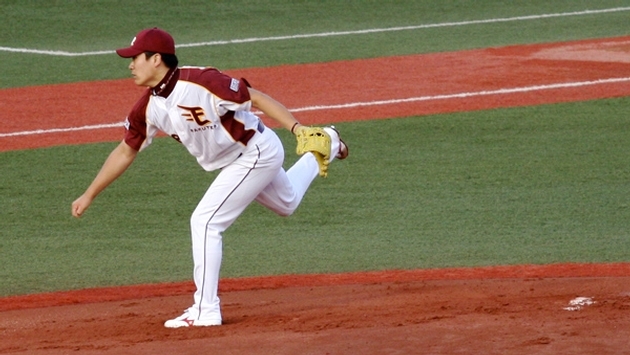 The Japanese baseball sensation chartered his own Boeing 787 Dreamliner to fly him to New York for a cool $195,000! Masahiro, who booked out the entire plane for a group of five including his wife and pet dog, just signed a seven-year MLB deal worth $155 million with the New York Yankees. The plane usually seats 200 people. "It's a (chartered) private jet. It's not something the Yankees have prepared," he told reporters at Narita Airport near Tokyo on Feb. 9. Japan Airlines (JAL) confirmed he used one of its Boeing 787s, The Sydney Morning Herald reports. Masahiro paid for the plane so he could take part in the team's camp "in the best of form," a Japanese baseball official who accompanied him reportedly said. There's no word on whether Masahiro rented out a plane for his trip to Florida, but we wouldn't be surprised. What do you think? Is Masahiro Tanaka spending his money wisely?